Description: Holley EFI’s Billet LS7 Hi-Flow fuel rail kit is a perfect match for anyone wanting to unleash the full potential of their LS7 powered Hot Rod. These Billet fuel rails are designed to be with OEM LS7 Intake manifolds and EV1/Bosch style injectors, such as Holley EFI injectors. 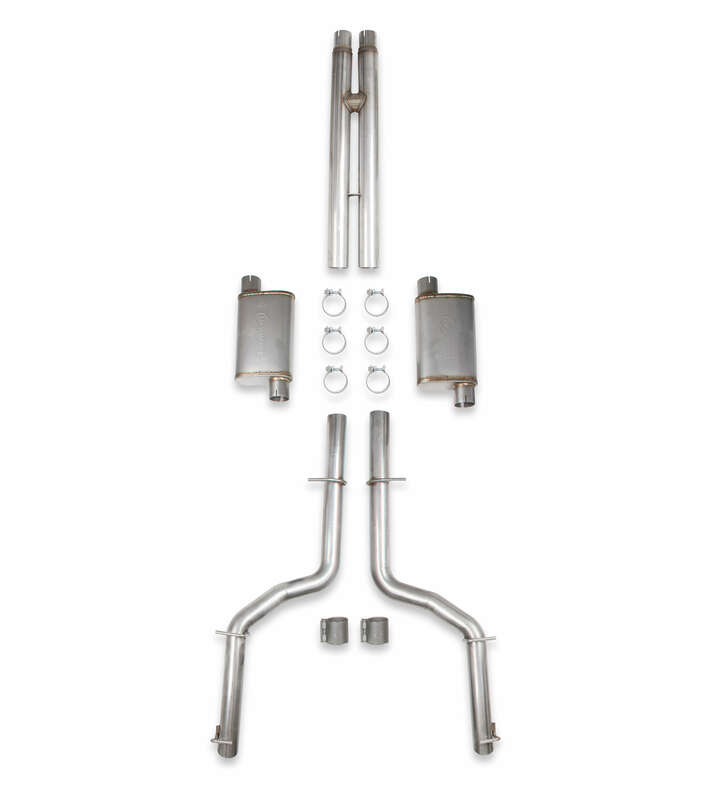 Additionally we have included six feet of -6 Stainless Braided hose, four 90° -6AN Holley EFI fittings, and two straight -6AN Holley EFI fittings. 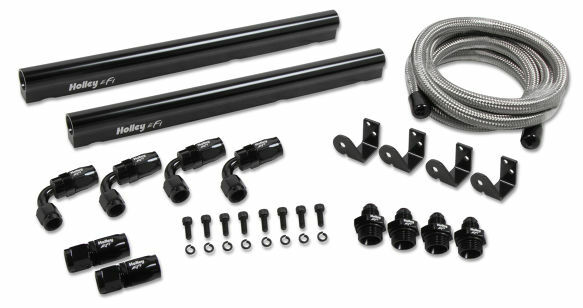 We recommend using the 534-211 Quick-Connect adapter kit on installations using factory GM Fuel line.